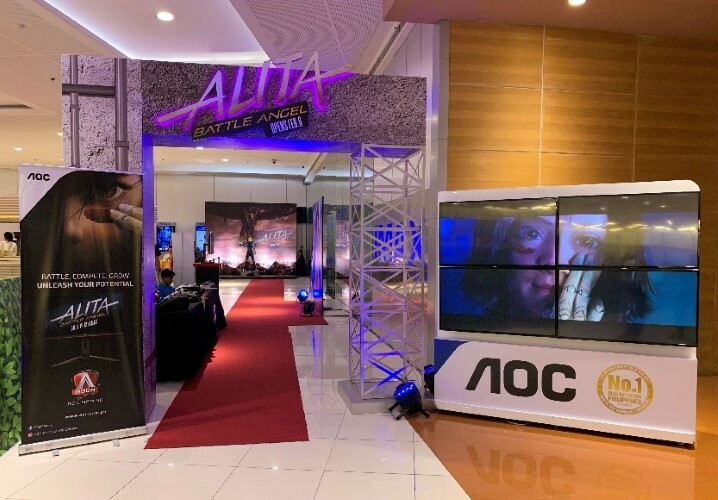 Popular Japanese manga Gunm‘s live-action movie adaptation Alita: Battle Angel recently premiered at the SM Megamall IMAX theater. The astonishing 3D experienced coupled with the stunning visuals of the movie made for a very immersive experience . 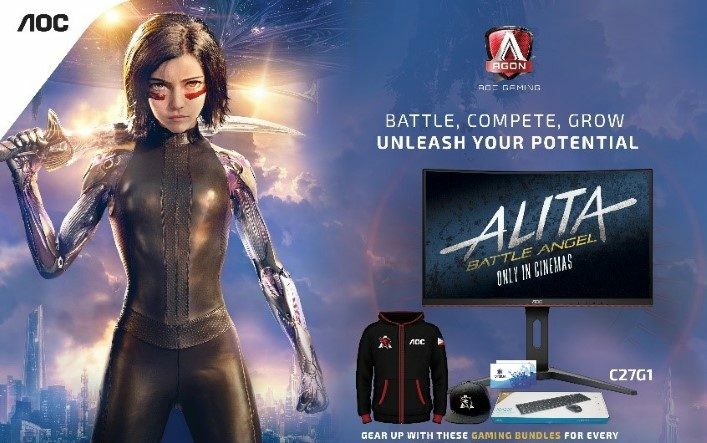 AOC, one of the world leaders in electronic displays, has partnered with Twentieth Century Fox Film in pursuit of such next-level visual experiences enhanced by innovative technologies. The technical feat of realistic CGI and excellently choreographed fight sequences in Alita: Battle Angel delivered such an experience. 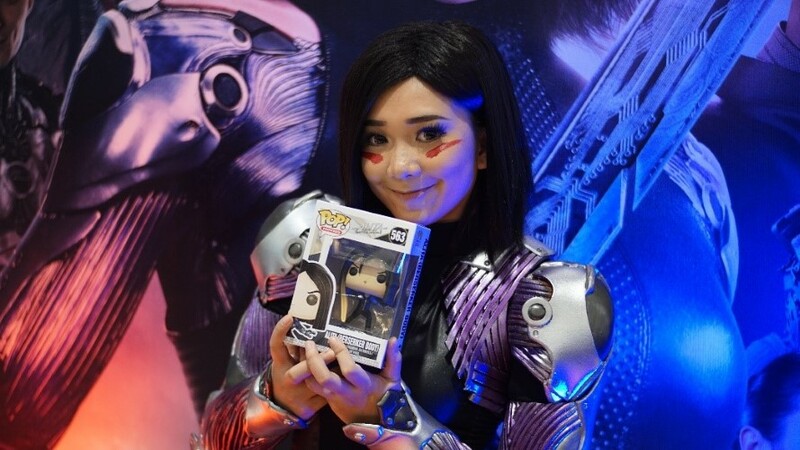 On the premier of the movie, AOC’s influencer Kang Dupet donned battle armor and cosplayed as Alita. 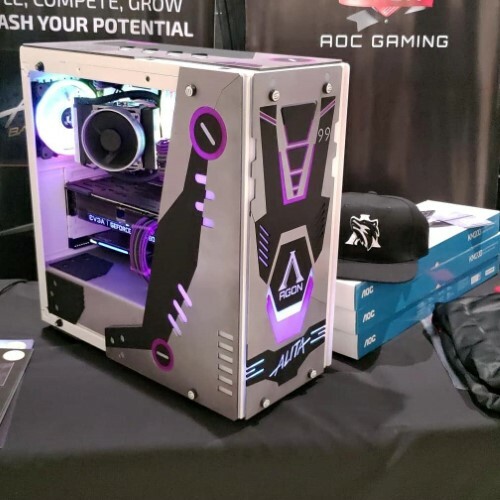 An AGON x Alita: Battle Angel-themed desktop PC was also on display, courtesy of Mickee Lacerna of Madmodz PC Modding. It has anti-glare screen surface with a curve measured at 1500R, steeper than the 1800R typically found in other monitors. 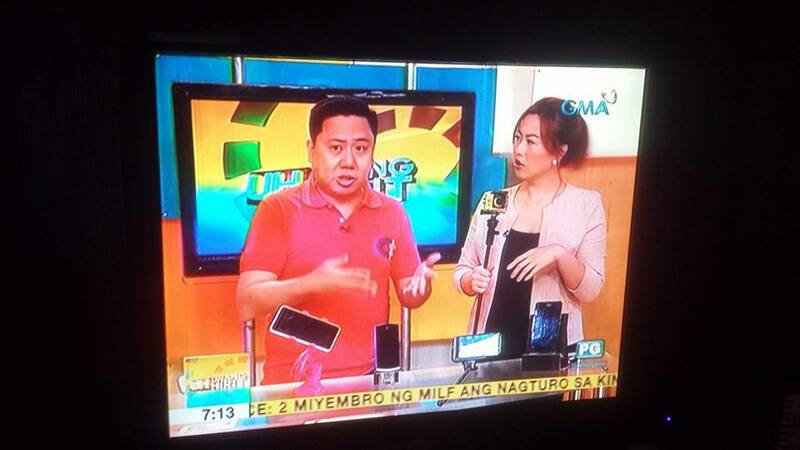 Slim 0.26-inch bezels on the sides and 0.85 inches at the bottom. 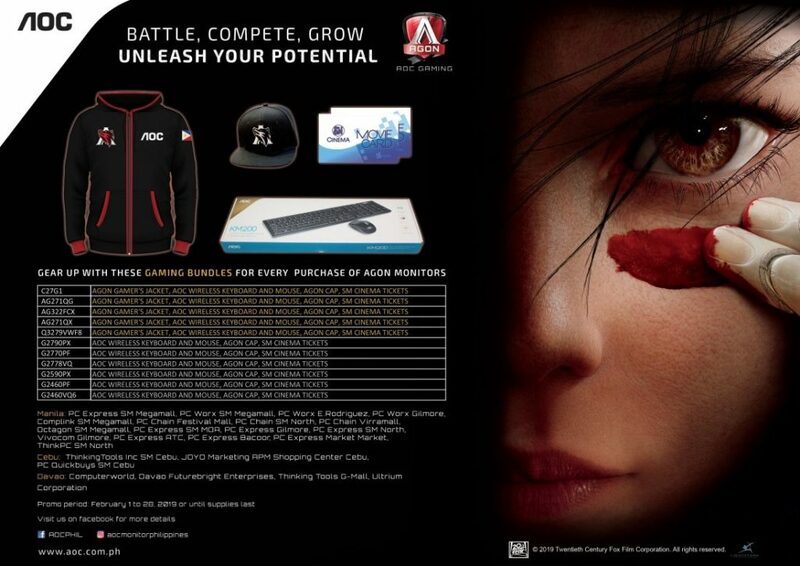 There are also promotions gamers can take advantage of that includes an AGON Gamer’s jacket, AOC wireless keyboard and mouse combo, AGON cap, and SM Cinema tickets. Check out the flyer below for the full details.